I found this double wide exterior remodel on GardenWebs.com and fell in love! It’s a great use of multiple materials and colors and it is one gorgeous home! 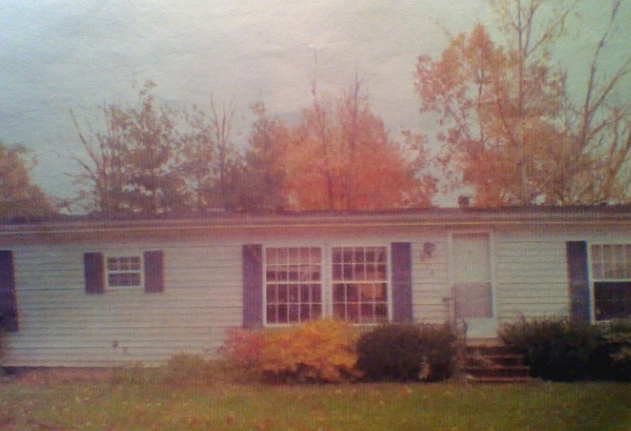 The owners replaced all the windows and added a box window with a bench seat beside the entrance. 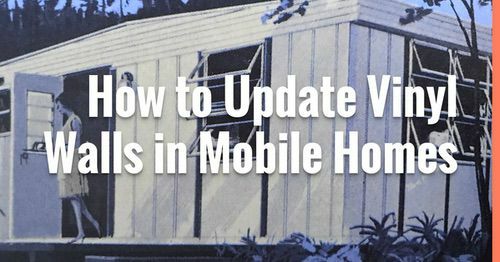 Since most manufactured homes are straight lines on all sides, giving a little depth and dimension is a great idea. The bench seating is also a great way to add seating and storage to a home. 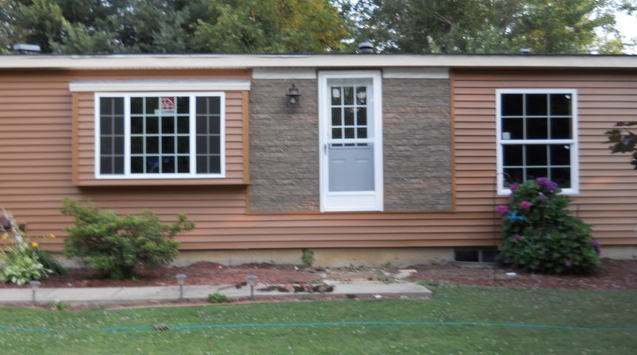 The stone siding is a perfect feature to any home. It adds detail and dimension as well and can be a great way to set apart the entrance way. It is a bit expensive per square foot but the results are worth every dime! The color choice is pleasing and the white accents are perfect. 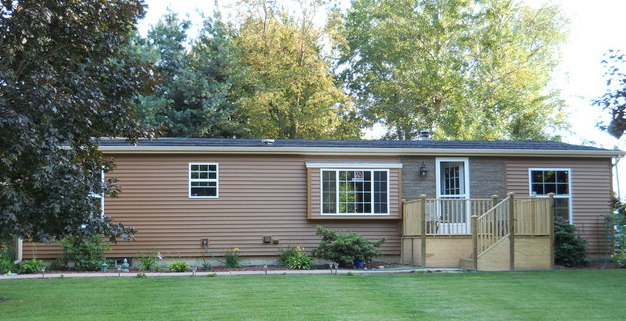 This home is a great example of what can be achieved with new siding, windows, and doors. I’m sure the power bill went down a bit as well. 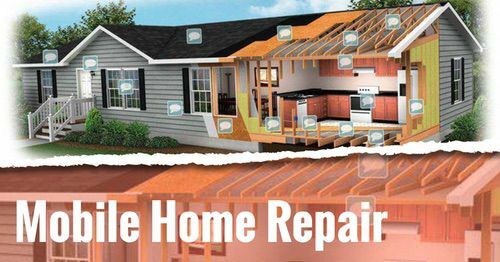 There are tax credits available for energy efficient replacements, too. It’s a win-win all the way around! 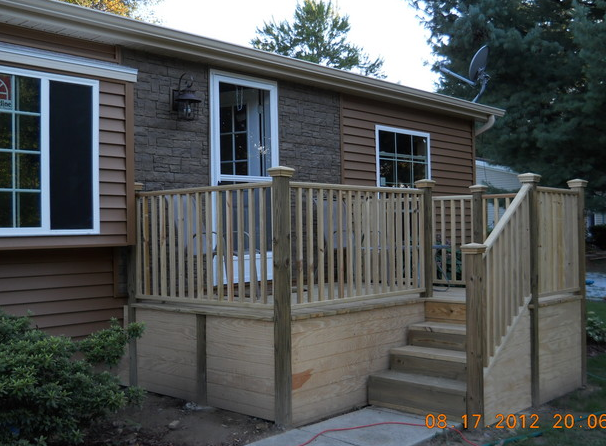 The newly built front porch/deck is a terrific feature of this home. I love the way they did the base, too! I’ve never been a big fan of lattice boards used for the bottoms of decks. Lattice (the 4×8 sheets of small 1″ boards crisscrossing) certainly adds dimension but if you use it on the bottom of a deck or porch, it doesn’t allow you to utilize the area for storage much. It’s also not the strongest material and if someone wants something all they have to do it kick through to get it. With this base, they can store anything they want and no one will know what’s under there. That’s smart! Overall, this is one superb exterior makeover. I love everything about it! 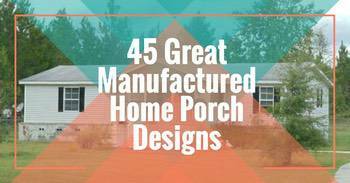 It’s cohesive and eye-pleasing and I bet the owners love it more every day! 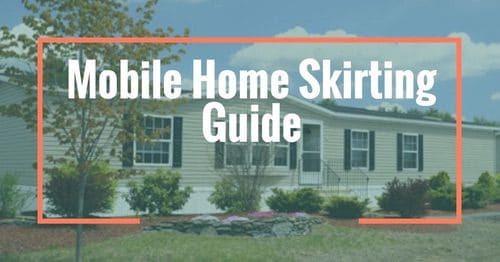 Thanks so much for reading Mobile and Manufactured Home Living! We have some great features coming up so be sure to check back soon! Note: I found these photos from GardenWebs.com. I have not been able to contact the owners although I did try. If you know who owns this home or if you are the owner, please get in touch with me. 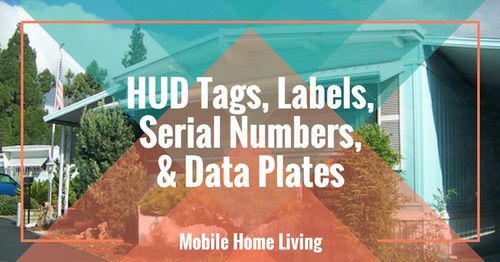 I would love to feature the rest of your home! Hi Ruben! 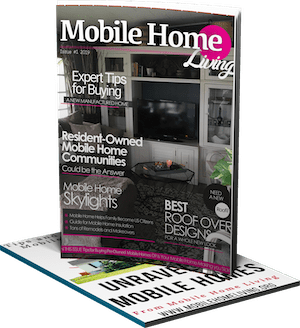 I’d love to see your home and feature it here on MMHL. Could you please email at [email protected]. Thanks so much! Someone on gardenweb told me there were pictures of my house on here, I didnt know this site exsisted. I found gardenweb when I first bought the place and was looking for ideas. It has really been a lot of hard work and fun doing all the work. It is all almost entirely new. The real reward is when people drive or walk by and stop and say how great it looks now! HI!!!! I hope you don’t mind that I shared it. 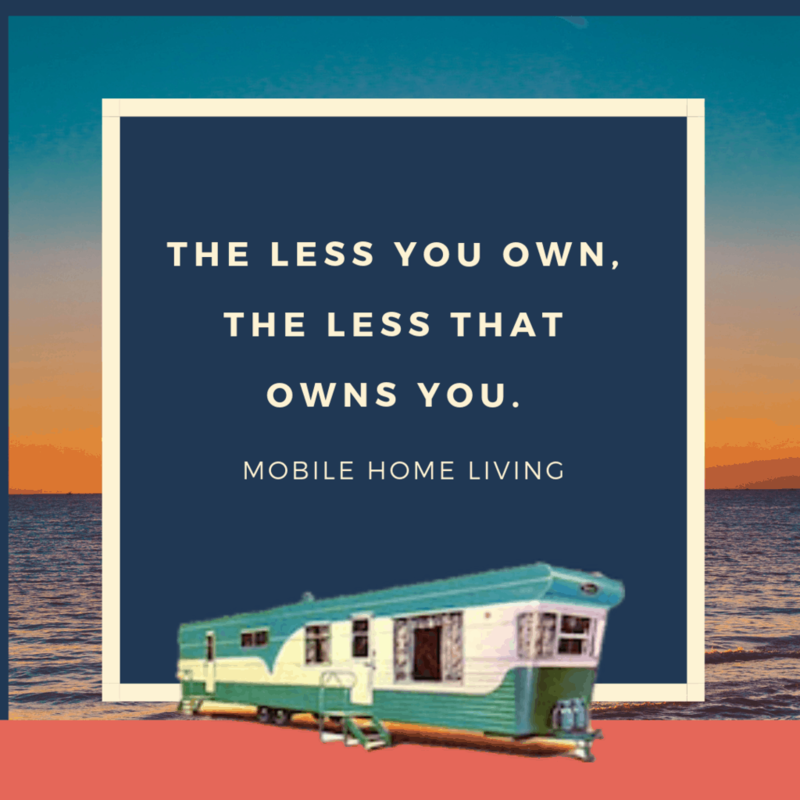 I always attempt to contact the homeowners privately since I don’t want to just be like “Hey, can I share your beautiful home on my blog?” in the public comments and it’s usually not allowed in forums. Your home looks just like I want my home to look eventually. Lovely use of materials. It’s gorgeous! Thanks so much for contacting me and for having such an awesome home for us to get inspired with. Gardenweb is the best platform to find new ideas. I am also the member of this community from last 3 years. They really provide the best to their members. But however you really did a great job. It looks perfect now.